After specification, the raw materials have to be weighed. Weighing raw materials for a product is a painstaking process. After all, the desired effect of the product depends on the right balance of each raw material. All raw materials are therefore weighed responsibly and accurately, on the basis of a recipe from our archives or according to a recipe you supply. In this weighing process, our system automatically checks that the correct volume is weighed exactly in accordance with the recipe. Safety first, after all. 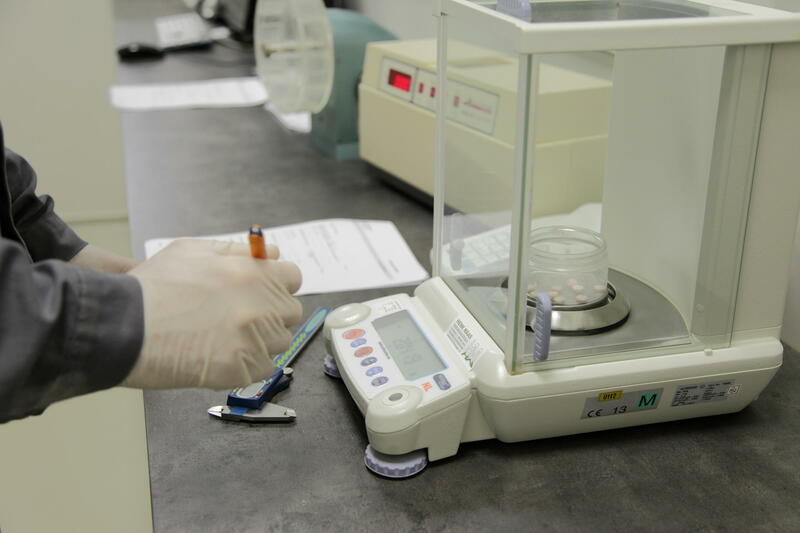 Thanks to our method, the weighing process for raw materials is always a reliable one, and each product is guaranteed to fall well within the safety requirement margins.